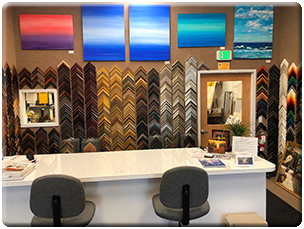 All framing is done on the premises with personalized service by a professional with a degree in Fine Arts, PPFA member and over 20 years of experience. 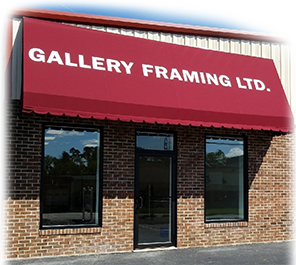 At Gallery Framing , LTD. there is no substitute for quality framing. We carry only the finest mouldings available to ensure satisfaction. Over 70% of our mouldings are manufactured in Italy; the best moulding producers in the world. The techniques are passed on from generation to generation thus preserving a truly unique skill. From burlwood, gold leaf, hardwood, acid etched, hand colored, and hand rubbed finishes, we are sure to find the correct frame for you. If you are looking for custom picture framing, posters or original art by local artists in the Baltimore MD area including Timonium, Cockeysville, Towson, Lutherville, Mt. Washington, Owings Mills or Pikesville please make sure to stop by Gallery Framing. Click Here to browse thousands of available prints! Receive FREE shipping on all print orders. Call for details. All images on this website are copyrighted and property of Gallery Framing and cannot be copied or reproduced without the express permission of Gallery Framing.